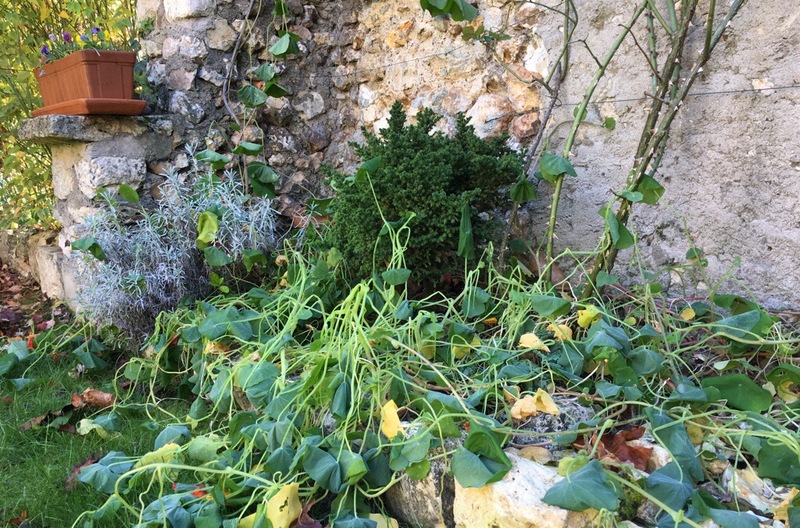 We know when the temperature goes below zero for the first time of the year because the nasturtiums immediately capitulate. Nous savons lorsqu’il gèle pour la première fois de l’année parce que les capucines rendent l’âme tout de suite. The end of the line, but I assume they make a comeback in spring. We’ve had several frosty nights now, and the odd flake of snow.